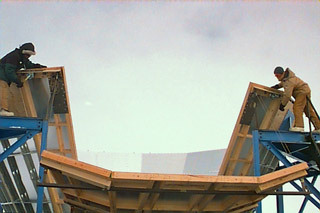 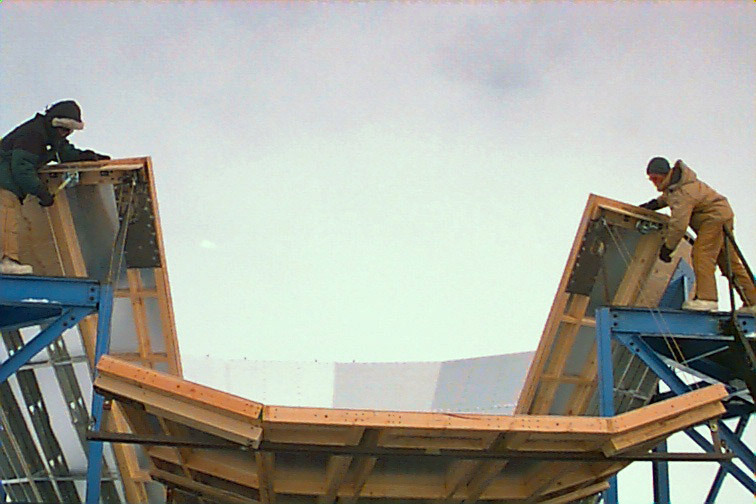 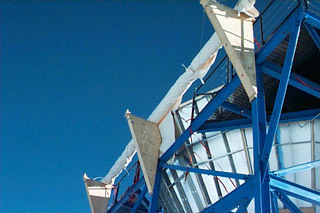 An early view of the newly completed telescope and structure, as indicated by the American flag (CARA). 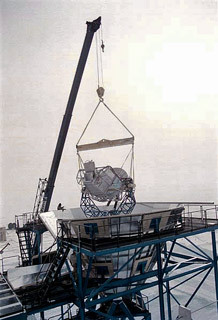 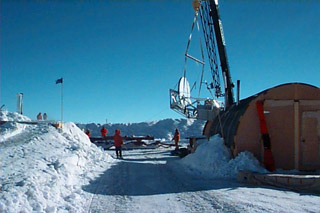 The structure had been erected the previous season, and the schedule called for the telescope installation to be completed in early December...although observations would not begin until winter. As originally designed, VIPER was a 2.1 meter off-axis telescope optimized for cosmic microwave background (CMB) observations. 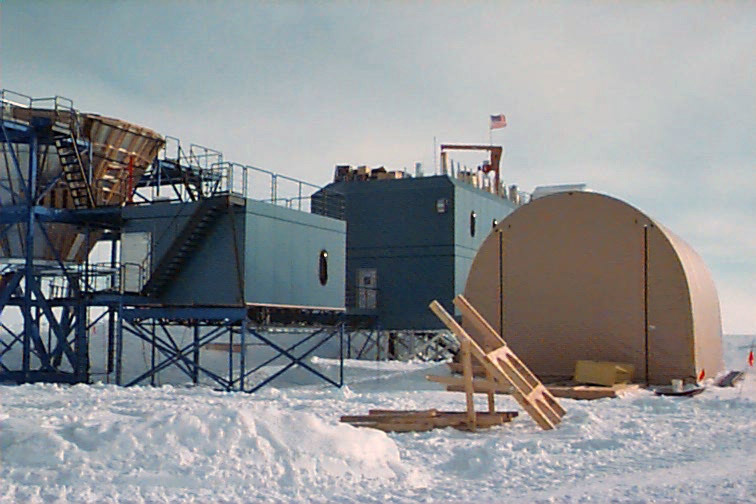 It would be upgraded in 2000 with the Arcminute Cosmology Bolometer Array (ACBAR) (PI John Ruhl's ACBAR information page) which would continue in operation through my 2005 winter. 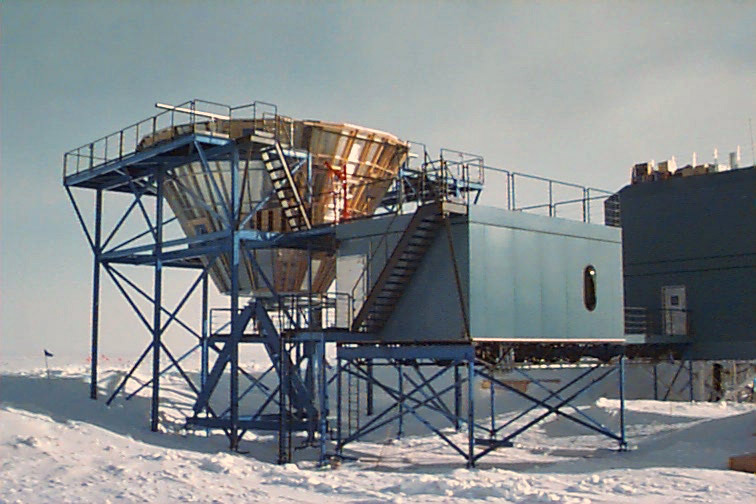 Final assembly of the telescope at Pole was done in this Jamesway with a removable roof. 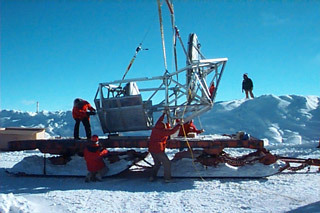 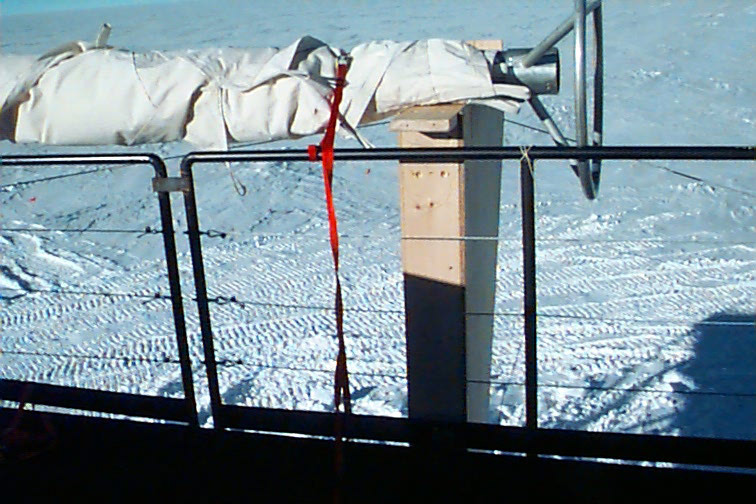 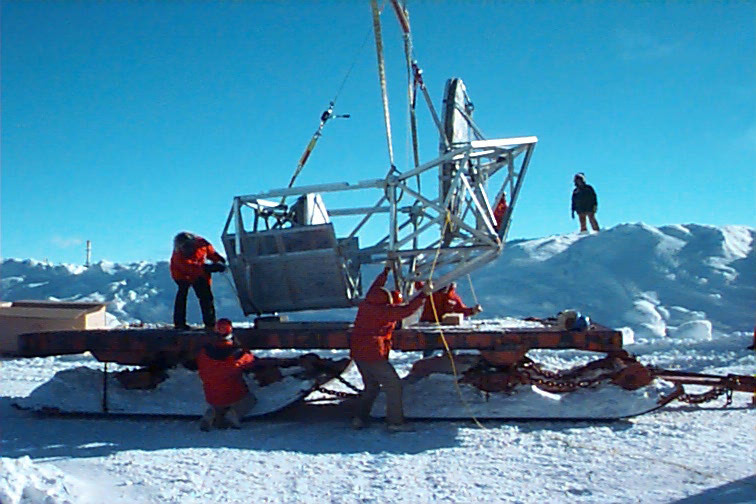 ...and placed on a sled for moving it to the telescope structure. 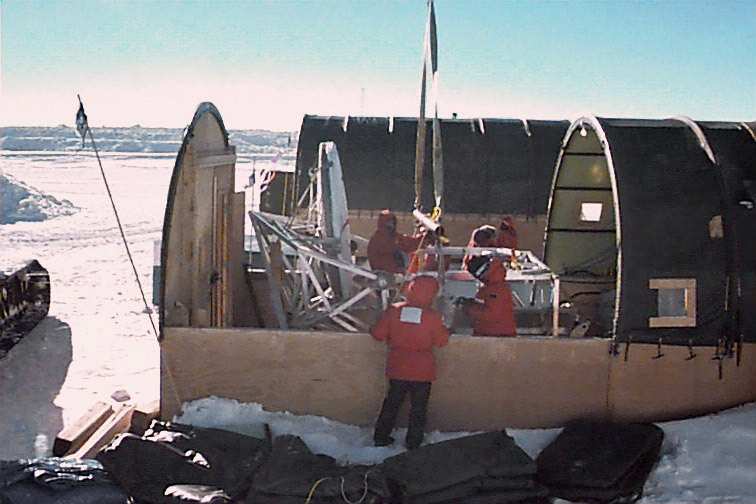 Meanwhile, some finishing work was being done on the ground shield. 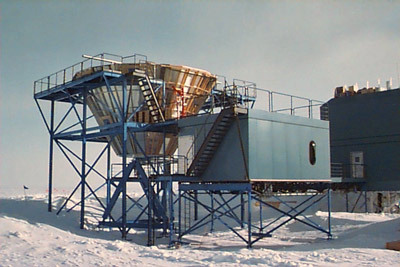 All of the telescopes needed an opening in the ground shield so that the instruments could be aimed at calibration targets on the ground. 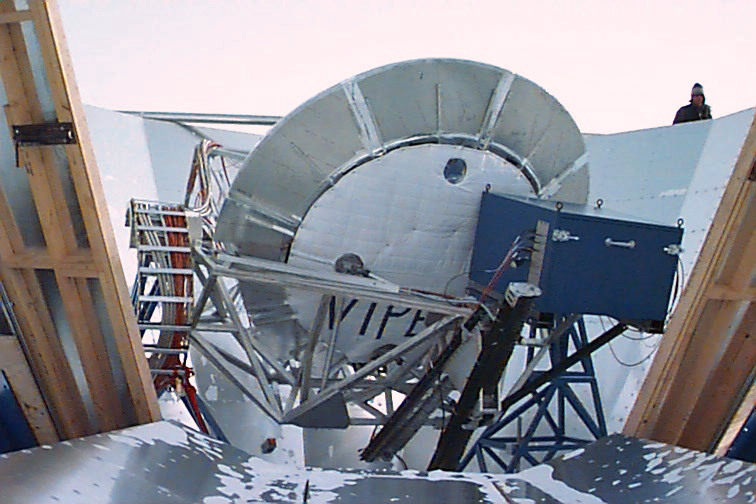 The front of MAPO and the VIPER structure...I don't know what the brown tent was being used for this season...a year later it would shelter the assembly of DASI, the instrument at the other end of MAPO. VIPER being picked up for installation...as seen from the roof of MAPO. 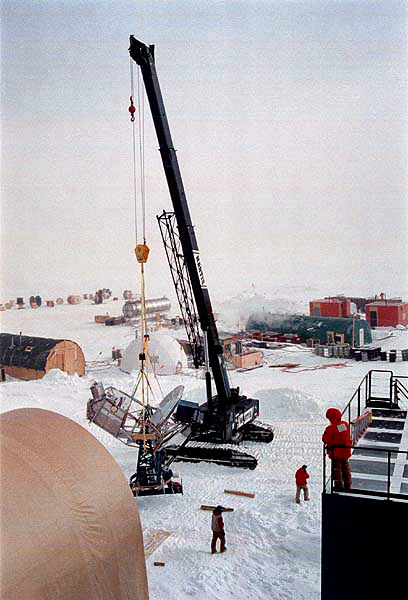 The structures in the background, including that small white dome, were part of the AMANDA drilling project which was also underway (CARA). 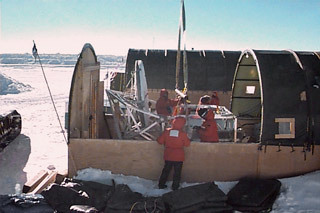 Lowering the instrument into the ground shield (CARA). 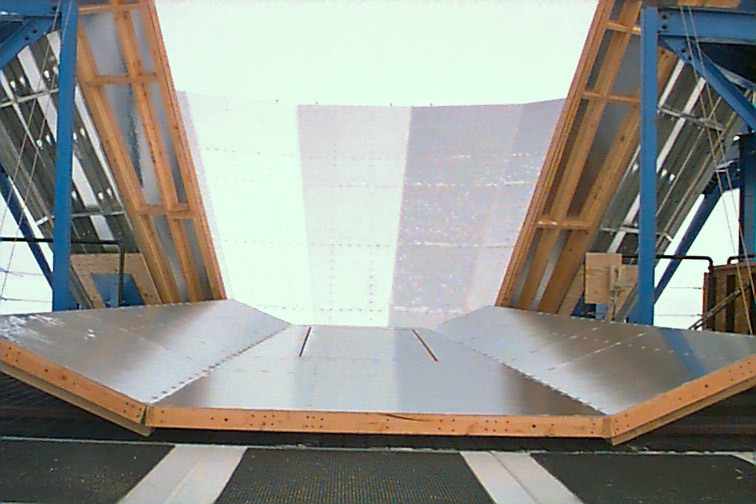 At left above, VIPER as seen from the ground shield platform...at right, the view from the roof of the control room through the opened ground shield. ...as seen here from the top of the ground shield. 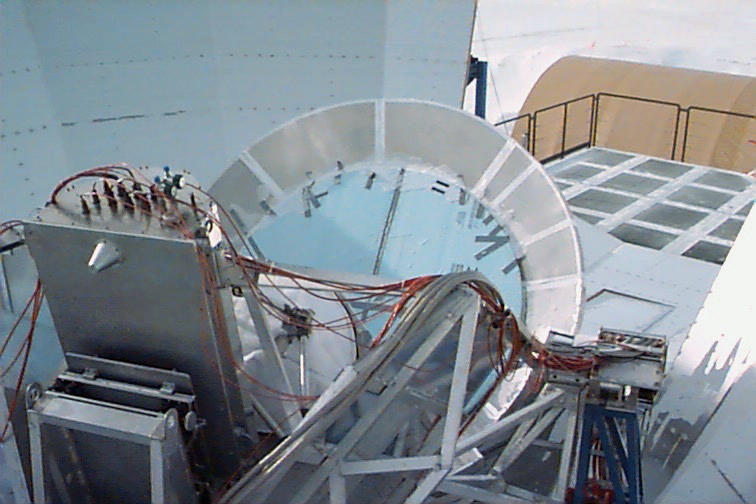 A final view of the newly completed telescope structure, amazingly unburied. Here is a December 1998 NSF press release describing one of the first successes of the new telescope. 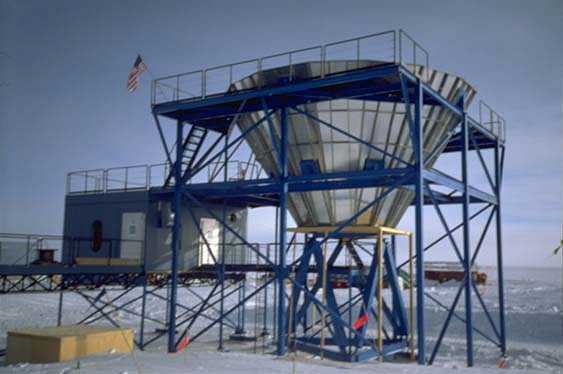 The photos on this page are from Chris Rock, except for the ones noted CARA, which are from this (archived Center for Astrophysical Research in Antarctica page).